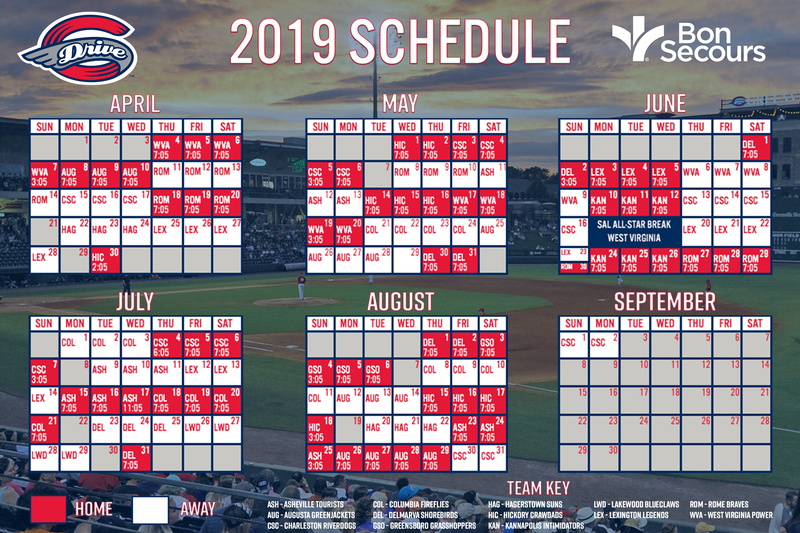 The Greenville Drive are looking for enthusiastic, friendly, hard-working, service-minded individuals to be part of the 2019 Game Day Staff at Fluor Field. Workers chosen will be part of an exclusive team of Drive professionals serving the Upstate Community at Fluor Field during Drive home games (70) from the beginning of April until the end of September, plus special College Games and other Fluor Field events during February, March and throughout the summer. Pay is hourly or by game and varies by position and experience. You may apply by Department (listed below) for any position shown which you feel you are qualified to fill. Just check the Department link below, read about the positions available, then return to this page to apply for those positions you choose. When you are finished you are welcome to reapply for positions in other Departments.